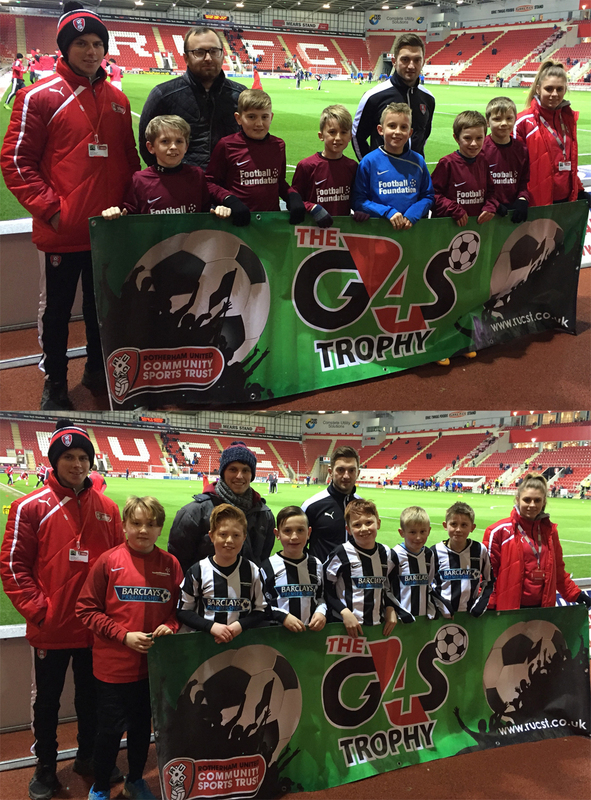 Half time at the Rotherham United Vs Brighton and Hove Albion game saw the first quarter final of the G4S trophy take place under the floodlights at the AESSEAL New York Stadium. 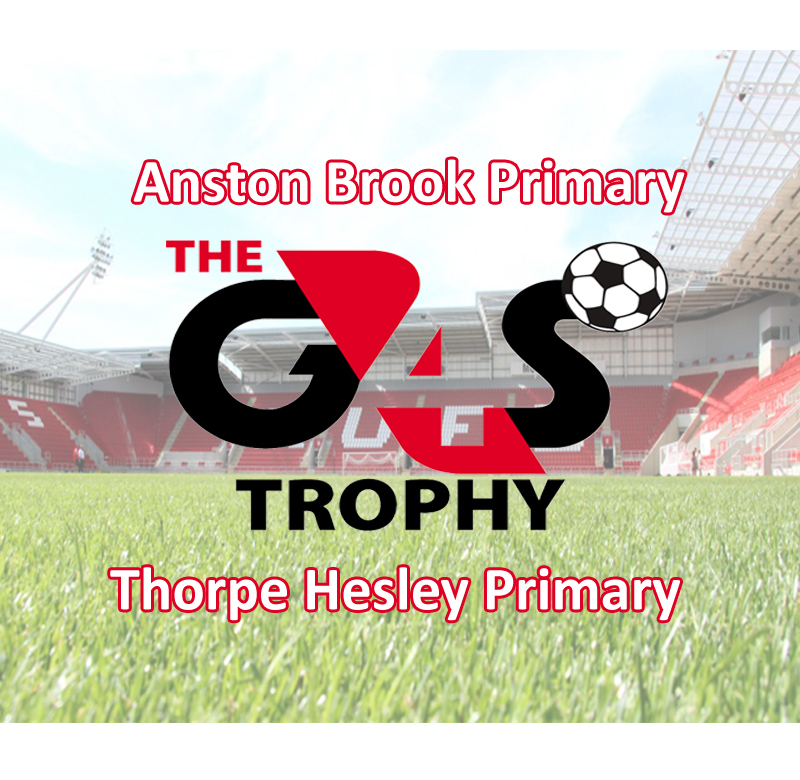 Thorpe Hesley had made it to this stage of the tournament with a fantastic 5–0 victory over Woodsetts Primary School and although Anston Brook progressed with a narrow 1–0 victory their performance had been equally brilliant as they were up against the 2012/13 winners Kilnhurst Primary School. This meant it was difficult to judge which way the match would go and it led to a scrappy opening few minutes with neither team able to gain any meaningful possession. As the game progressed Thorpe Hesley started to slightly edge the game and began to ask some questions of the Anston Brook defence but they were resilient and kept the strikers at bay. It was clear to see that it would take something special to break the deadlock and Thorpe Hesley provided this moment on the 5 minute mark when Finlay Barker raced to the dead ball line to keep a stray pass alive, he stayed tight to the touch line and beat his man with some fancy footwork, he then cut inside the last defender and fired in a low shot from a very tight angle to put his side 1 up. This did seem to shake Anston into life and they pushed to find an equaliser but found it difficult to create any clear cut chances and on the rare occasion that they did some fine goal keeping kept the score at 1-0, as the match drew to a close the Thorpe Hesley defence began to take one or two chances and a casual ball across their own box almost led to disaster when it was pounced on by an Anston striker but his shot went agonisingly wide and the final whistle blew to send Thorpe Hesley through to the semi-finals for the second year running.